Francesco Hayez (February 10, 1791, Venice - December 21, 1882, Milan) was the main artist of Romanticism in mid-19th-century in Milan, he is most well known for his grand historical paintings excellent portraits. 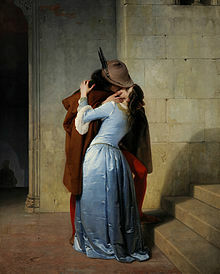 Wikimedia Commons has media related to Francesco Hayez. This page was last changed on 18 April 2019, at 12:26.